Comcast has found a new way to stem "cord-cutting" (cutting off your cable TV subscription in favor of subscription services like Netflix, or, as in my case, in favor of giving up on watching TV altogether); in markets where they are a monopoly or duopoly, they will reserve their highest-speed internet offerings for customers who agree to pay extra for cable channels that they don't want or need -- if all you want is internet access, Comcast will relegate you to its slow lanes. The move comes in tandem with Comcast's increasing practice of imposing data-caps on its customers; combine the two and you have a situation in which cord-cutting means you can only download a handful of bits, and very slowly at that. Last week, Comcast announced speed increases for customers in Houston and the Oregon/SW Washington areas. The announcement headlines were "Comcast increases Internet speeds for some video customers." Customers with 60Mbps Internet download speeds are being upped to 150Mbps; 150Mbps subscribers are going to 250Mbps; and 250Mbps subscribers are getting a raise to 400Mbps or 1Gbps. Comcast says speed increases will kick in automatically without raising the customers' monthly bills—but only if they subscribe to certain bundles that include both Internet and TV service. 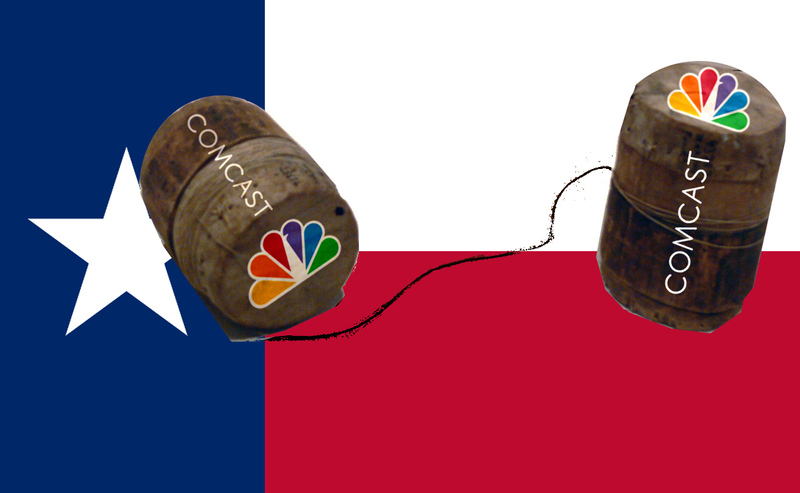 "Cord cutters are not invited to the [speed increase] party," the Houston Chronicle wrote. "Only those who bundle Internet with cable television and other services... will see their speeds go up at no extra charge."